If you ever sat in front of a black screen because your Windows refused to start, you know the value of backups. And it's so easy to keep your data safe! 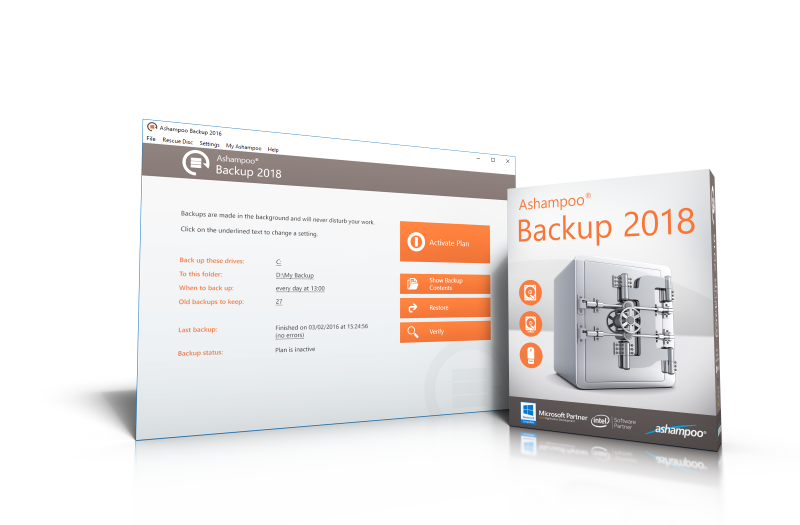 Backup entire disk partitions in just a few clicks and restore your files even in the event of a total system failure - that's what Ashampoo® Backup 2018 is all about. This application was specifically designed to do the heavy lifting for you, that means safety without the need for constant user interaction or system slowdown. It's simple, it's fast and it's safe! 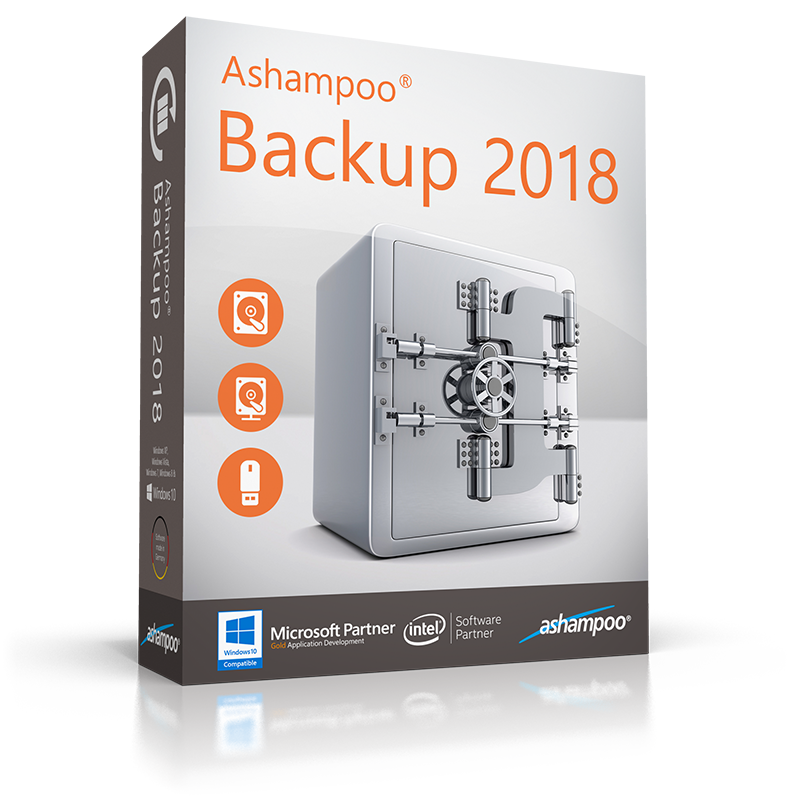 Ashampoo® Backup 2018 covers all the essentials of backup creation and restoration. Simply select a disk partition, a target location and a time and you're all set! 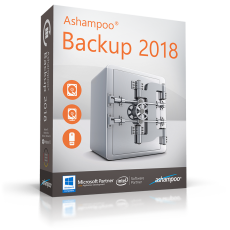 From now on, Ashampoo® Backup 2018 will backup your files securely in the background. Experience maximum safety with minimal effort, no technical knowledge required. Restoring backups is just as easy as creating them. Restore your files with Ashampoo® Backup 2018 or use the emergency disc / flash drive in the event of a total system failure to recover your data fast and securely. You can also view and restore individual files through Windows Explorer. It doesn't get any easier than that! A good backup solution should not interfere with your daily PC work. That is why Ashampoo® Backup 2018 pauses automatically whenever your PC is heavily used but even if it doesn't you will barely notice it.